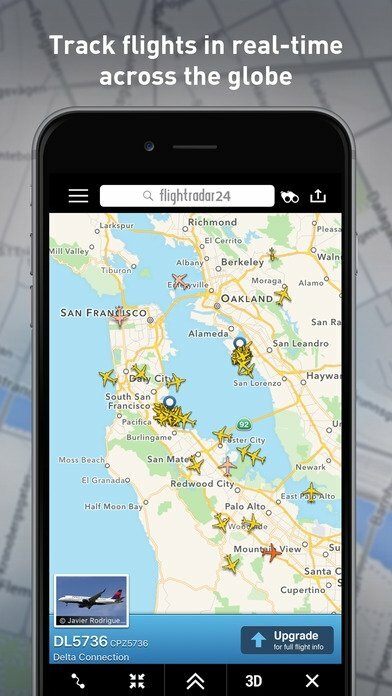 Your iOS device can become a flight radar thanks to Flightradar24 Free, an app with which you can view on a map in real time the location of planes that are flying the skies at that precise moment. 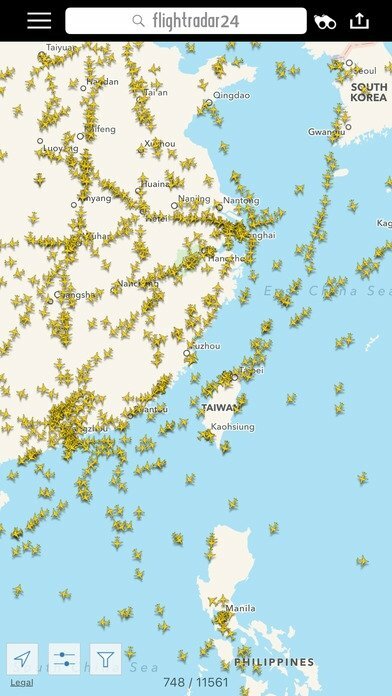 You can do so thanks to the official data provided by the US Federal Aviation Administration (FAA) and the information obtained from the ADS-B locators installed on thousands of commercial and cargo aircraft from all over the world. That's how this Flightradar24 Free works, capable of locating on a real-time map 100% of North American and European flights and the majority of planes that cover routes in other regions. 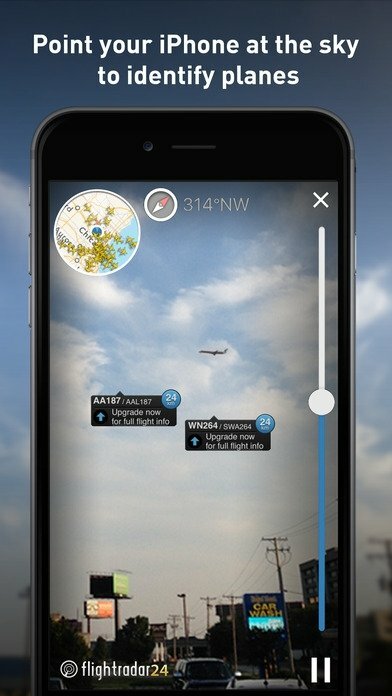 The application allows you to identify planes by simply clicking on them or using augmented reality: just point your iPhone's camera at the plane that's overflying your head and locate it on the radar thanks to the information supplied via satellite. 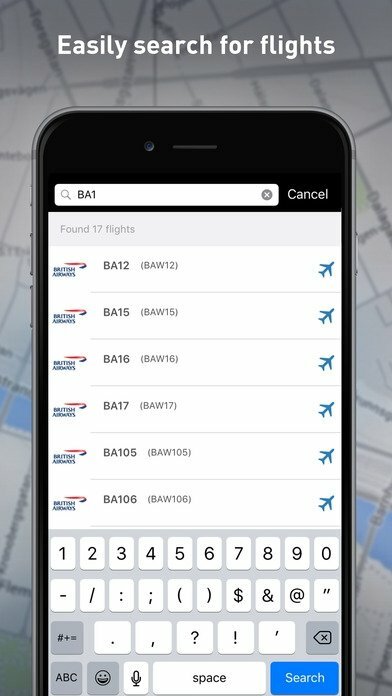 Identify planes on a map by tapping on them or using augmented reality. Watch how planes fly around the world in real time. Obtain flight data about each one of them. View pictures of the majority of aircraft. The commercial Pro or Premium edition, currently at version 6.7.1, offers us additional functions such as data about the routes followed or the possibility to make searches filtering results by flight number, speed or altitude. 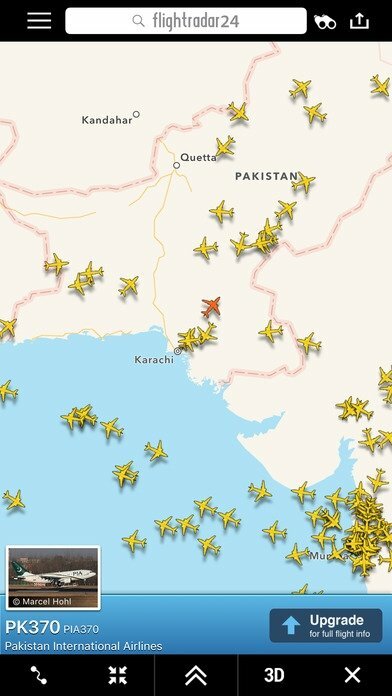 Without a doubt, an app that can't be missing on your phone if you're an aviation fan and that also comes along with an APK for Android devices.